I promise to go to the gym tomorrow. I promise to train hard until I beat all my buddies! Ha-ha. Isn’t this very relatable? At some point in your life, you’re guilty of promising yourself that you have the “Don’t Stop, Can’t Stop”attitude about training, so you can get ahead of your buddies when it is throwdown time. But hey, don’t worry. Everyone’s guilty. Even some lazy athletes are. That doesn’t mean you don’t have what it takes to be as strong and as ripped as possible, though! So keep reading to get best pointers to work out your workouts! The New Year is just days away. You may not welcome it in your fittest self just yet, but you’ll be embracing it with a list of real resolutions which will help you get fitter, and stronger in 2018! It is in every year end that we can start planning a new beginning. The same is the case for achieving your goals! Hence, the New Year resolutions. Truth be told, everyone’s lists are dominated by the ever wholesome trinity: exercise more, lose weight and drink less alcohol. But let’s focus on a more specific goal: TO GET FIT. (Getting fit in 2018 doesn’t necessarily mean you should quit drinking). A healthy, and fit body isn’t something that falls out from the sky, so you have to work hard for it. It is found that the most significant factor for predicting success in resolutions is self-efficacy. That is the belief in one’s ability to get the job done. Spend a good few minutes everyday thinking about you getting the job done, and we’re sure you will! (Law of Attraction Note: Say “I’m getting fit in 2018” 10 times before sleeping and after waking up). Another thing that proves to be useful is rewards help! Since getting fit would yield you physical improvements that you could see and measure, then you’d know more or less if you really are achieving your goal or not. Observe yourself getting faster and stronger during your duty. Take note how much improvement you gained when you are out on the field. Buy a new pair of shoes when you hit a particular personal record. Splurge on a cheat day when you successfully complete your monthly training days without any “lazy” day. Commit to your resolutions and don’t give up! The American Psychological Association says you are more likely to succeed if you only make one New Year’s Resolution! Our focus/big goal now is getting fit in 2018,so the fit list will contain different steps to make sure that happens! 1. I pledge to exercise in quick spurts. People who make four to six 30-second sprints get the same heart-health benefits as those who do a moderate 40- to 60- minute workout. You may hate doing sprints, but it’s backed by research. Just by doing three minutes of this High-Intensity Training (HIT) a week for four weeks, you can already see significant changes in your health. This is because HIT uses far more of the body’s muscle tissue than classic aerobic exercise. When people do HIT, you are not just using your leg muscles. You also use your upper body (plus arms and shoulders), which means 80% of your body’s muscle cells are working, compared to only 20-40% when walking, jogging, and cycling. If you want to do more, indeed you can. There is also High-Intensity Interval Training (HIIT) which pushes you to your limits. Remember that Intensity is key to reaping all the benefits of this one. Warm up for 3 minutes. Put your maximum effort as hard and fast as you can for 30 seconds straight. No stopping. You should feel very fatigue for another few seconds. Use higher repetitions but to increase heart rate. 90 seconds to recover. Don’t stop moving, but move at a slower pace and decreased strength. Repeat exercise-and-recovery 7 more times. 2. I pledge to drink lots of water, and not only when I’m thirsty. A human body is composed of roughly 60% water. So when we’re hydratedor dehydrated, it means it has a significant effect on the performance of our bodies. Nearly all of our body systems cannot function well without proper water intake. Measure your body weight and drink half of it in ounces of (e.,if your body weight is 150 lbs, make sure to drink 75 oz of water each day. That’s like 10 cups of water). Bring a water bottle with you everywhere. This will remind you to keep drinking and drinking. Eat fruits that have a high water content such as watermelon, strawberries, pineapple, orange, raspberries, etc. Drink water to urinate more frequently and with alight color. Undoubtedly, getting fit in 2018 starts by being healthy (and clean) on the inside. Drinking lots of water give you amazing benefits. Water lets you perform better. It gives you increased athletic performance for your workout and training! Water helps you lose weight. By drinking lots of water, you are keeping your body hydrated and giving it an appetite suppressant that helps with weight loss. Water flushes out waste and bacteria. Thus, a healthy and functional digestive system. Water is a shield against headaches. Headaches are caused by dehydration, and the only way to solve it is through thewater. 3. I pledge to feed my body correctly. Food is an important consideration. In fact, you should always eat proper food, bound by a New Year Resolutions list or not! The trick is to eat unprocessed, and whole organic foods as often as possible. 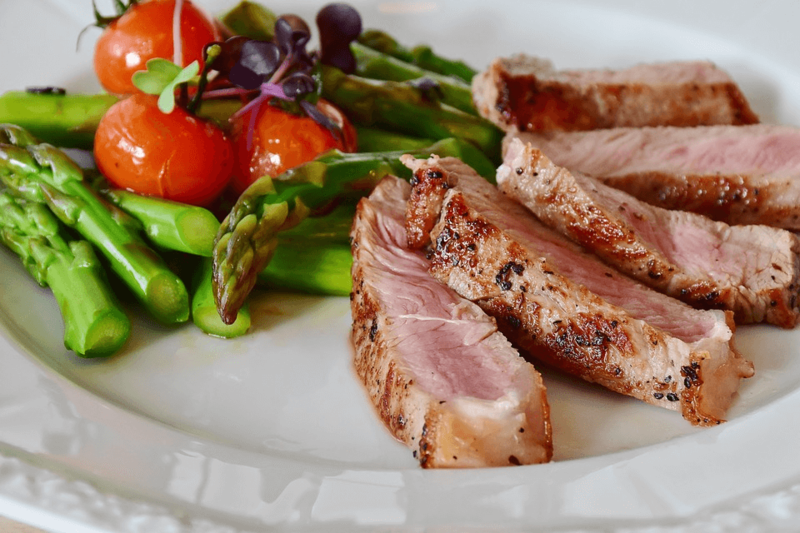 The good stuff is composed of a diet rich in high-quality meat and fish, essential fats (avocados and coconut oil), whole foods (brown rice and quinoa), vegetables, and fruits. And it is said that if your diet has a label, and if you can’t pronounce the ingredients quickly, don’t eat it. 8AM to 10AM – Carbohydrates to give your body more time to convert them into energy. 1PM to 2PM – Protein like chicken, and eggs. You can even drink a shot of whey protein. 45 mins. After exercise – Protein shake, and a few carbohydrates, to make sure your muscles are consuming fuel and absorbing nutrients. 7PM to 9PM – Turkey, salmon, cottage cheese, almonds, and bananas can help you sleep more peacefully. You are free to eat potatoes and rice, but don’t do it if you are trying to lose weight. 4. I pledge to take fitness supplements. As much as we want to tell you that getting fit in 2018 is attainable through easy steps such as those listed above, it is even more useful if you take in supplements designed to optimize human performance. Of course, you need a professional grade formula to get better. Don’t let anyone tell you otherwise. It is an essential step to the fitness process, especially to professional athletes, bodybuilders, swimmers, runners, CrossFit enthusiasts, and triathletes. Even Hollywood actors embrace fitness supplements because of their crazy life! 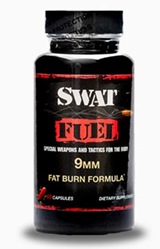 SWAT FUEL REDUCE – Fat Burn Formula. This supplement can help you shed unwanted fat, and give you a synergistic blend of herbs and nutrients for increased energy and thermogenic (increased metabolic rate and energy expenditure). 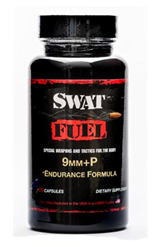 SWAT FUEL RECOVER – Protein Powder. Earlier, we showed you the list of what to eat, and when to eat it. Whey protein is recommended. Since you want to drink healthy, this grass fed, grass finished, non-GMO, and 100% organic whey protein concentrate is perfect for you! 5. I pledge to get support from my family and friends. Motivation and support will keep you running (literally) and fueled to achieve your end goal. If you can’t find people stronger than you to work out with them, see those who are more educated so you can ask for advice. Have a buddy who is also on his or her way to getting fit in 2018, and do workouts together! It becomes incredibly bearable and fun if you have a workout buddy. 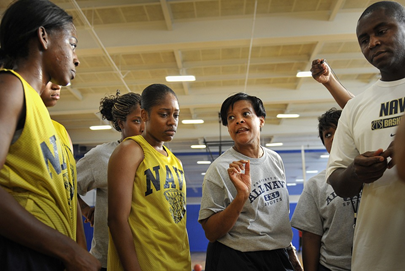 Push each other on days one is dragging, inspire and lift up each other, feed off of each other’s success, and give some tough love when one is feeling lazy. You may also have a workout buddy who won’t be working out with you. That makes sense? Create a unique bond that will push you to succeed. For example, try money! Pay your friend $500 if you don’t lose this number of pounds before the year ends. Of course, if you don’t want to let go of that amount of money, it will really push you to get in great shape! It really works, just see this. We all have our resolutions list to complete. If you decide to focus on getting fit solely, follow our ideas,and we’re sure to see you fitter and stronger by the end of 2018! The post ‘FIT LIST’: New Year Resolutions To Get Fit in 2018 appeared first on SWAT Fuel, USA Based Nutraceutical Manufacturer. You asked for it, we delivered. SWAT Fuel on eBay!